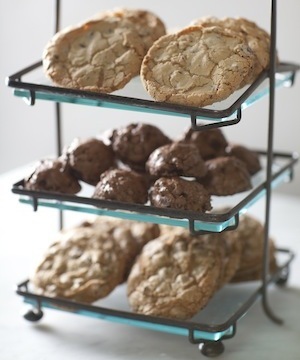 These delectable cookies are the favorites of Sarabeth’s cookie craving multitudes. Baked fresh daily to order, they come packaged in a white bakery box, festooned with a bright ribbon and Sarabeth logo sticker. You cannot go wrong bringing this gift to a friend, unless you eat them all before it gets there. You get 6 Chocolate Chip Cookies, 8 Chocolate Chubbies and 6 Chocolate Chip Clouds.